Chris Lyons is renowned throughout the industry for creating exceptional character teeth and prosthetic dental effects. His credits are vast and he and his company Fangs FX have worked with a huge array of leading actors. In the last few years alone his credits include the recently released Bond film ‘Spectre’, ‘Star Wars VII: The Force Awakens’, ‘Bourne Ultimatum 5’, ‘Bridget Jones’s Baby’, ‘The Theory of Everything’, ‘Avengers: Age of Ultron’, ‘The Grand Budapest Hotel’, ‘XMEN: First Class’, ‘The Iron Lady’, ‘Skyfall’, ‘The Hunger Games’, ‘Les Miserables’, ‘Life of Pi’, ‘Mandella: Long Walk to Freedom’, ‘Prometheus’, ‘Guardians of the Galaxy’ and ‘Jupiter Ascending’ to name only a small number on the list. 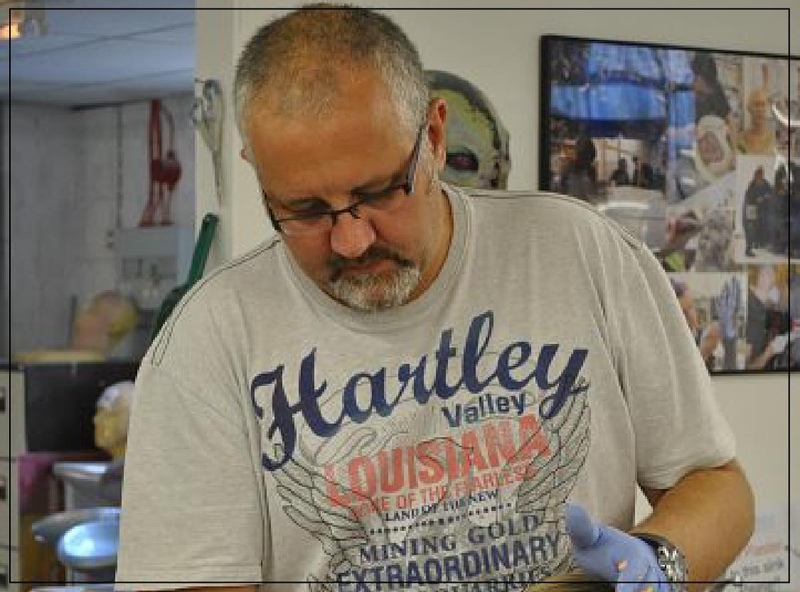 We’re delighted Chris will be joining Neill Gorton and Stuart Bray on the main stage, and is also creating FX dentures for a number of other demonstrations taking place during the event.